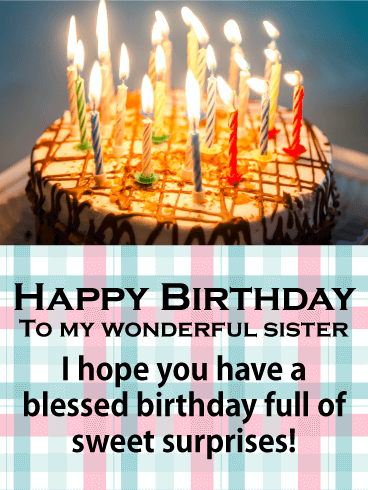 Candles on a cake are just wishes waiting to be granted. 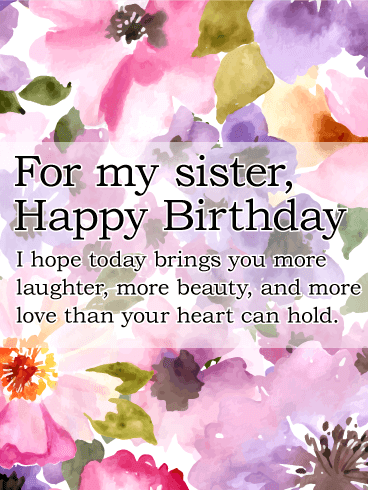 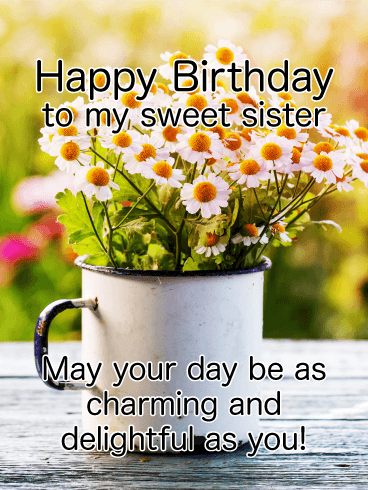 Wish your wonderful sister a birthday full of sweet surprises. 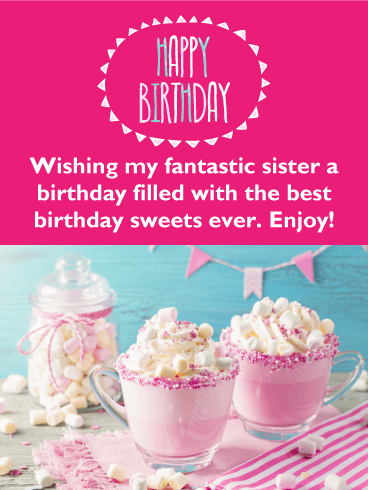 Send your sister a yummy looking and festive birthday cake card that she will adore. 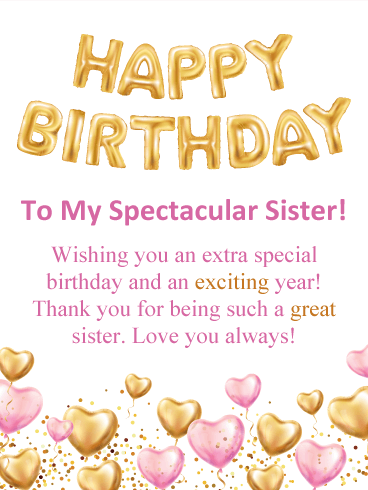 A thoughtful message goes a long way and this birthday card will be a blessing to the special sister lucky enough to receive it. 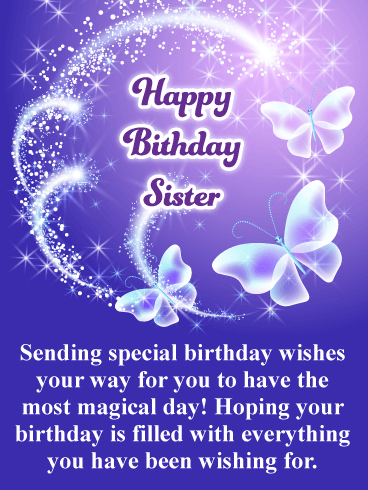 Happy Birthday To my wonderful sister - I hope you have a blessed birthday full of sweet surprises! 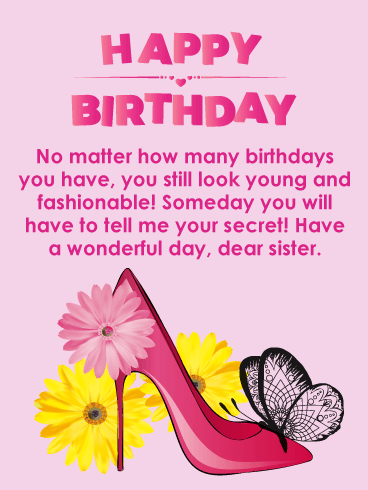 Every birthday is a gift and a chance to dream a little bigger and a love a little harder. 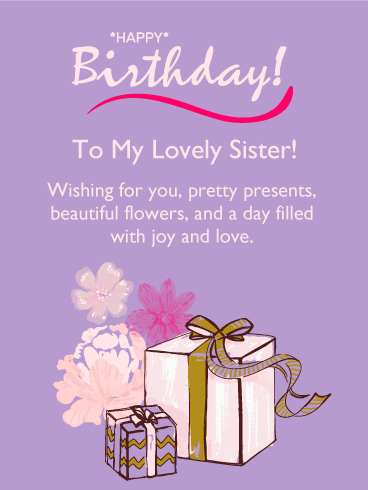 Celebrate your sister's birthday with this festive pink birthday greeting card. 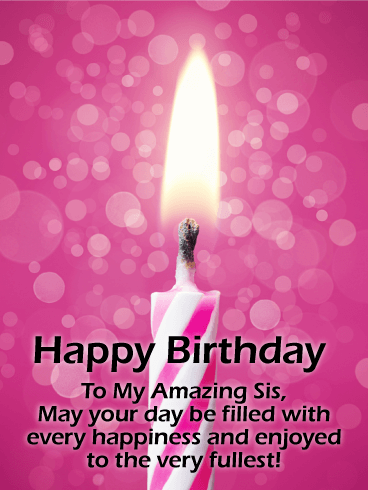 Send a wish for an amazing day filled with every happiness. 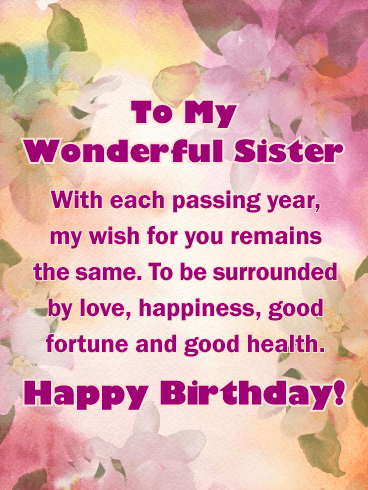 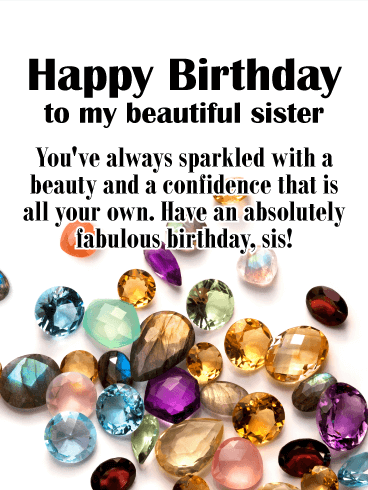 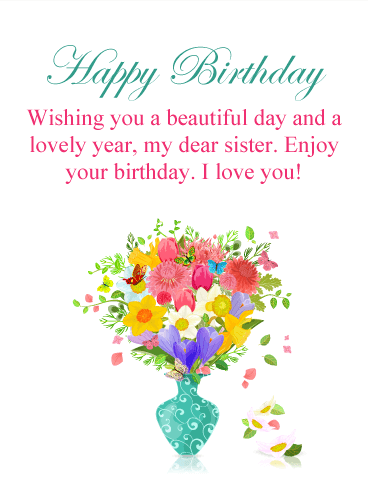 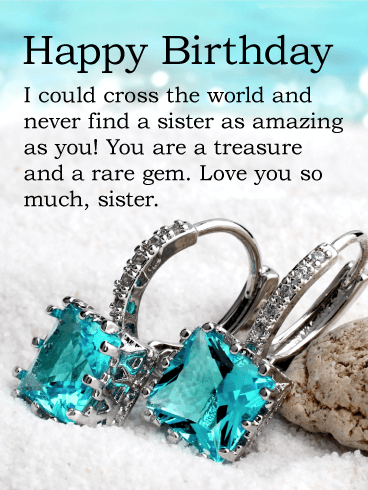 This attractive birthday card is bright and fun and filled with warm wishes for a great birthday for a special sister.